We often hear about entrepreneurs who made it big. At times we only hear about their overnight successes and multi-million dollar deals. But do you ever wonder how they do it? The real secret lies in the details. The painstaking planning and research. The guts to face any challenge and the grit to accept failure and trying again until you get it right. Join NextStep Workshop’s founder, Greg Prudhommeaux on the third run of Jumpstart your Business as he discusses the how-to’s of starting your next project. This two session workshop will help you get your brilliant ideas off the ground and transform it into your next project. Learn practical tips on working smart and making the most of your time. Get help on coming up with strategies to keep your business costs at bay. Take a journey to self-discovery and understand how your idea fits the current market. Understand why are you doing this and what solutions will it be providing your niche. Learn how to pitch your idea, identify pain points, know your competition and redirect your focus on finding solutions to your concerns. Create your business plan. Learn all about pricing, overall costs, managing investments and how to get your Minimum Viable Product (MVP) out. Make the most out of technology to help build your community online and offline. Get to know how to create a website that works in China at a lesser cost, how to manage your social media profiles and tips on how to sell your products and services. Focus on your strengths, maximize your time and minimize your expenses. Learn about the 80/20 principle and get most things done. Manage your project with ease through the use of automation, mobile apps and the help of freelancers. Identify the pain points of your business idea and help redirect your focus to finding solutions to them. You will learn how to create, execute and manage your business plan with the help of technology through automation and finding the right team members using alternative sources like freelancing. Learn basic business concepts like determining costs, investments, and profit, how to create your presence online and have your community’s support. Pricing: 2800 RMB for 2 sessions. —>>> Bring someone else with you and you can both enjoy 400 RMB off! 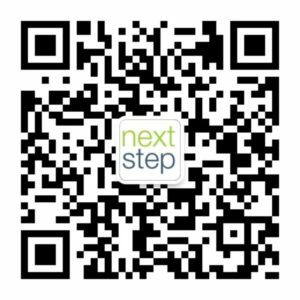 Reach out to Greg via WeChat or Phone (136 6165 7798) or email (Greg@nextstep-workshops.com) to book!